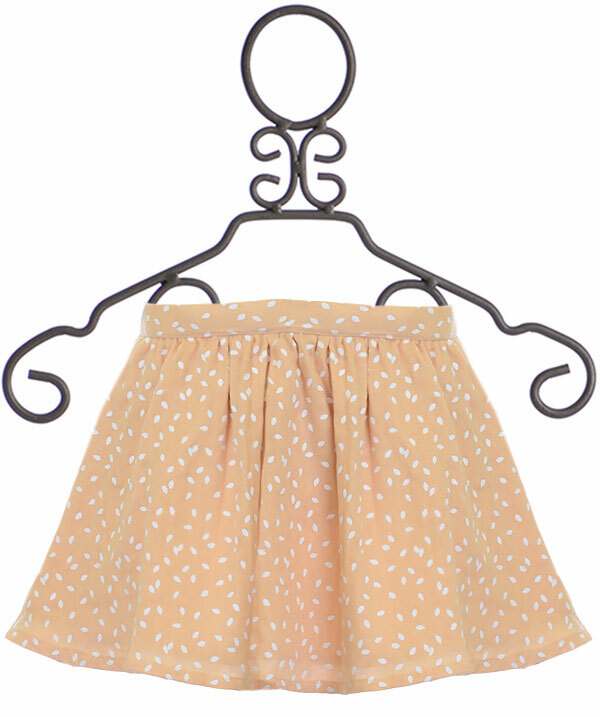 $26.5 - Created to pair with the new tops from their fall line, this girls skirt is from Rylee and Cru. We know you will love this blush peach shade, both sweet and subtly feminine. The full circle cut inspires her to twirl and dance with glee. A white print covers the entire print. In place of traditional polka dots, this print resembles falling leaves. The waistline is flat in the front with added stretch in the back, perfect for layering and tucking! 100% Cotton. Machine Wash Cold Inside Out. Tumble Dry Low. Do Not Dry Clean!